Then I Got To Thinking...: Andie Jean is here! A very special day. The best day of our lives. Andie Jean arrived at 2:47pm weighing 5 pounds, 15 ounces and 18.5 inches long. We are overwhelmed with LOVE for this little girl. I can't wait to share her little birth story (she came early, but is healthy, yay!) and lots more pictures. But right now, we are just soaking in all of this time with her. I wish time would stand still. The days are passing too quickly!! I have fallen even more in love with my husband. He is the most helpful, loving, and generous man - and watching him become a father is a moment I will never forget. This little girl has made our dreams come true. We are abundantly blessed. Admiring our girl. Family of 3! Taking her home from the hospital - very excited! Daddy and Pops giving her the first bath! Thank you to everyone for the sweet comments, texts, phone calls, etc. It has meant so much to us to be surrounded by so many loving people. We really appreciate all the love! Andie is beautiful! You look great!!! Congrats. So happy for you and can't wait to hear more about her. Congrats!! She is beautiful and jeez!! You look amazing!! Congrats girl! She's beautiful! Seeing your photos make me even more excited to welcome our bundle! My goodness you are just the sweetest family! Oh that last photo is just so precious, she is beautiful!! Precious girl! Congrats sweet friend!!! Congratulations on your new sweet baby girl! Enjoy this precious time...it flies by! she is stunning and healthy!!!! huge congrats! ah, congratulations my dear!! way to bring in another sweet Alpha Gam into the world! So exciting! She is beautiful, congrats!!!! She looks so teeny tiny in that carseat, congrats. Holy! That is one beautiful baby! Congratulations :) Seriously too cute. Oh my gosh, welcome to the best club in the world, your life will never be the same again. I mean this in the best possible way. I'm so delighted for you and I loved seeing these photos. You look fantastic and my fav is the last photo. Aw. just beautiful. she is just perfect!!! So happy for you & your hubby!! Congrats to both of you and your families! She's born on the same day as my oldest daughter, next year you'll be celebrating Mother's Day and her birthday on the same day. Very special and so sweet. Soak up every second! Congratulations on sweet Andie! She is just so beautiful! I am so very excited for you two! Congrats on the birth and the start of being parents!!! You are in for an amazing ride! And of course she is just beautiful! I love her!!! She is just perfect. Way to go, Momma! And you look so amazing! Cannot wait to hear her birth story! Oh she's just a doll. You all look so happy! congrats friend! Congratulations Tracy! I know you will be a wonderful mother! Congrats again!! She is a doll!! She is just beautiful! So glad everyone is doing well! And daddies and their little girl is the BEST ever. congratulations!!! She's absolutely adorable :) Hope these first few weeks are being kind to you! Congratulations mama! She is such a doll and you look beyond gorgeous! congratulations!! she is so beautiful! She is precious! Parenthood looks great on you two! And you look amazing!! Welcome to the world Andie Jean! She is so beautiful! I hope you're all settling in well and getting plenty of rest! Your dad and hubby are so adorable bathing her in that picture! Congratulations!! :) She's absolutely precious! Congrats! I can't get enough of that last picture. She's just precious and so so cute. A huge congrats to you both! She is beautiful and you look fantastic!!! Can't wait to see more pics! First of all, you look movie star gorgeous in that first picture, my friend! Beyond happy for you two and cannot wait to see more pictures! She is beautiful momma! Congrats to you both ~ so happy for you!! congrats friend! she is beautiful, and so is her momma! Congratulations!! She's beautiful (and so are you after giving birth)! 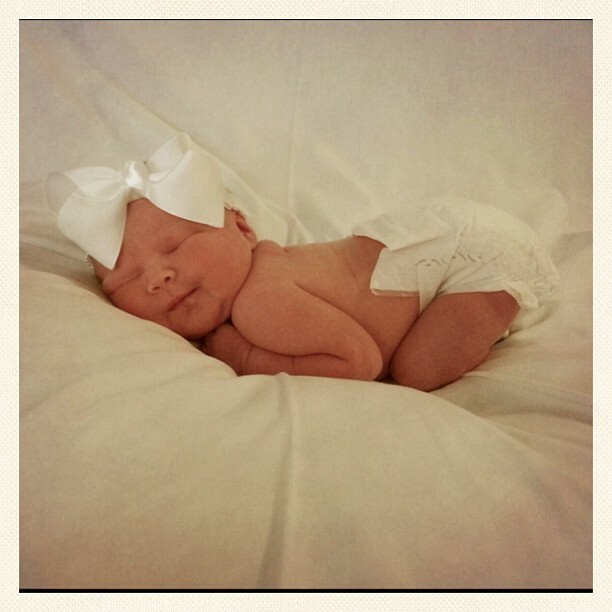 I have been so behind on blogs, I am just now seeing that sweet Andie made her debut! She is beautiful!! Congrats! !